Discover the magical experience of Hot Air Ballooning. Balloon rides are as incredible as they sound. 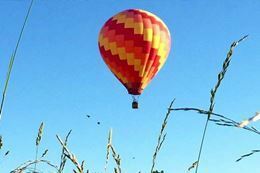 With so many spectacular locations across the USA, a hot air balloon ride is something anyone can enjoy. Whether it's the ultimate romantic gesture, a special celebration or just an excuse for some fun, hot air balloon rides can show you the world from a spectacular perspective and are a relaxing way to spend time with those that you love.